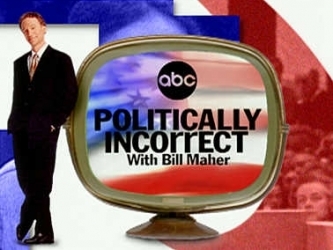 Political talk show based on the idea that debate is stifled by too much seriousness. Guests are chosen from the worlds of politics and entertainment, often with the goal of creating conflict (ultra-sensitive special-interest groups matched with comedians). Nevertheless, a relatively friendly atmosphere is maintained, with none of the swearing or chair-throwing common on 'shock-talk' shows.